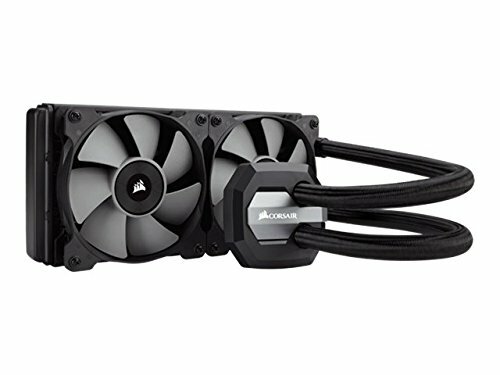 Couldn't complain about this AIO cooler. It does the job, was very easy to install and mounted right onto the board with the correct backplate. So far, this board has had some trouble. ASUS was rather quiet about this motherboards backwards compatibility with AM3 coolers. RAM speeds are not what they should be. My RAM is 3000 MHz out of the box, but the board wont clock the RAM any higher than 2133 MHz, yet the board supports 2666 MHz. Optimization takes time but it is very aggravating knowing you're only using 1/3 of your speed. This RAM is very bright. You can get lost staring into the PC at the light this RAM puts off. Not overwhelming, and just recently compatible with AURA sync. The software is still in beta, it needs alot of work, but it does sync, and it is very pleasing on the eyes. If you want super fast storage this is your solution. I've never seen file transfers, write, erase, game load times as fast as this thing provides. I installed windows thinking it would be a long task, left the room, 2 minutes later windows was finished. There was a slight snag during initial configuration where my PC was not displaying video at all after a restart. I simply delayed POST in the BIOS for 5 seconds(3 seconds should work) and good to go. The GPU I was using before this build, was an R9 270. So seating this big 1080 was a great feeling. The size of it was a big change but as compared to other 1080 variants, this one is pretty slim. The fans on it only start when they are needed, which helps cut down on unnecessary power usage. The RGB lighting syncs up with AURA creating a magical effect inside the case, suiting any color scheme just right with the click of a mouse. I've used it in a few games, and it is impressive. Max visual settings on multiple games, paired with the 1800x CPU makes for an experience so smooth, you'll never forget it. Very sleek, but not overwhelming, this case was a leap for me because tempered glass just wasn't my look. That is, until I spotted this case, sporting only 1 tempered glass side panel and 1 front panel, I didn't want my cables visible at all so I went with this version. Building in it was not difficult, but it was time consuming when it came to hiding the cables. My only issue with this case so far is that when you remove the glass panel from the side, it almost seems as if you have compromised the integrity of the case, making it difficult to reinstall the glass door. I'm a big corsair fan, so my build has a lot of corsair components. 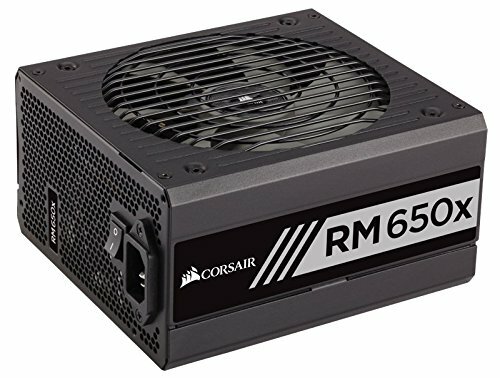 I chose the RMx650 because I wanted a modular power supply, that didn't consume power unnecessarily, that was modular and it being corsair was just a bonus. The cables provided are nice, though I do plan to replace them with sleeved cables, the ones provided are nice for the time being. These fans are bright, very bright. And the lighting seems to not affect performance in any way, keeping the case cool and performance at its best. I only wish these fans would LINK with other things but as it stands now, it isn't happening. 90% if they sync up. That's an amazing temperature of both CPU and GPU under load. I mean, a mere 5 degrees increase from idle? Damn. I should probably edit that. It maintains that temp under load for a short time but after that its around 50- 60 steadily. If i disable the RGB effects its about 5 degrees cooler. With water, it takes a solid 45 minutes to get to accurate temps. Very nice build. Good job! Its only not cpmpatible because they dont ship the retention bracket with the cooler. All you need to do is use an old backplate like I did. When the AM4 retention bracket arrives i plan to switch it back over. But there was no way in hell I was waiting on starting this build, because of a mounting bracket. Very nice build. I'm looking at the same case, board and cooler. Do you think you would have enough room for the H100i to be mounted up the top with the high profile ram? Apparently you can't on most motherboards but the Crosshair has a lower ram position than most boards and it looks like it will fit. I'm just trying to find out before I buy high profile ram for my build. If you could help that would be greatly appreciated. I was originally gonna mount it up top but went with a front mount because it looked better from the front, when looking at it, the radiator helps block the light from the internals from mixing in with the HD 120 fans. I didnt actually mount it up top, but from the looks, you may be able to squeeze it up there. Sorry for the delay. No, unfortuantely the issue has not been fixed yet. But i'm not doing anything on the PC that would make me notice the difference. Although what I have read suggests removing 2 of the sticks and going that route, gives you better speed as compared to using 4 sticks. Please tell me you took off the plastic cover on the chip set heat sync. Yeah, I left it there while i was still going in/out with the gpu so as not to scratch the surface. I actually need to update that, i have 5 of them in there(didnt get the sixth because my wife said $2600 was enough) so I'm planning on dropping another in there very soon. The fans fit into this case with no hassle at all. I used screws provided by corsair included in the case and they actually worked perfectly as compared to the screws included with the fans, which gave me a rough time. Did you fix the ram issue with the new agesa update? I actually just sold the ram to a friend and bought a set of FlareX because I was impatient. This happened 2 weeks before the update so..yeah pretty salty but I cant be mad at the performance. 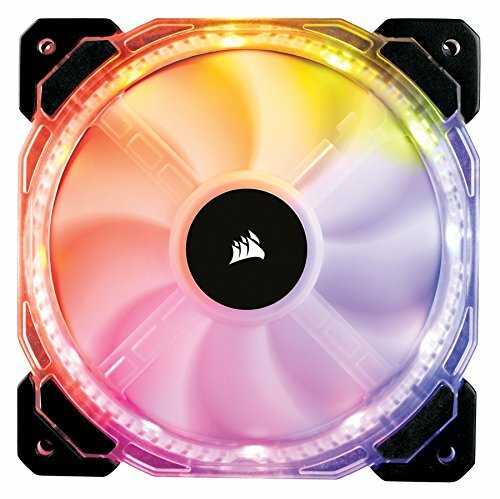 Does the Mobo have RGB\LGBT lighting? Nice build but you keep mentioning that the motherboard does not include an AM3 back plate. What other AM4 motherboard comes with an AM3 back plate, or holes drilled for AM3 cooler hardware compatibility? They could've easily not bothered with being considerate by not drilling the holes and you wouldn't be here slighting them for something so trivial. Thank you, i took my time on it.